LEOPARDS will go into Sunday’s National Cup semi-final against Solent Kestrels in top form following a 102-74 demolition of Team Newcastle. “Today was another fantastic win for us” he said. “Defensively we are doing a really good job in forcing poor shots from the opposition and then we are capitalising down the other end. “Scoring has never been our problem but we shot the ball incredibly well tonight. I don’t think I envisaged us scoring 17 three-pointers in one game but we have the weapons to do it, it was only a matter of time. “We are building momentum at the right time and I think this shows we are a team that can achieve big things this season. “This is great preparation for what will be a tough semi-final against an undefeated [in league games] Solent team. We will need to be at our best to beat them and today’s result gives us the confidence that we can go and do just that. 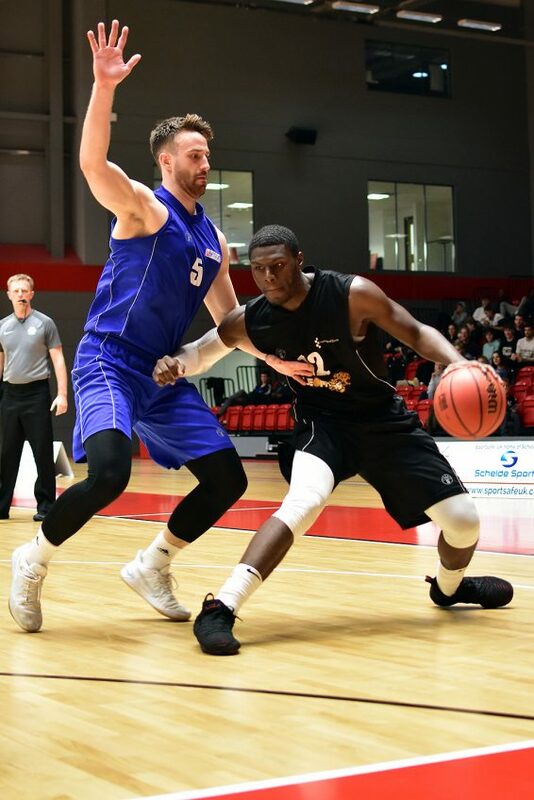 Asante Sandiford led the way for the Big Cats at Essex Sports Arena on Sunday with a massive 34 point, 15 rebound double-double. Luke Mascall-Wright added 16 points and four assists, while Chuck Duru came off the bench to finish with 11 points and five rebounds. Findley Wood chipped in with nine points, with Lee Hodges, Sam Newman and Rory Winter adding eight points apiece. Newcastle started well, but an 11-0 run sparked by Hodges gave Leopards a lead they would never lose, and Sandiford took his first period tally to ten points to send his side into the first break with a 24-16 lead. 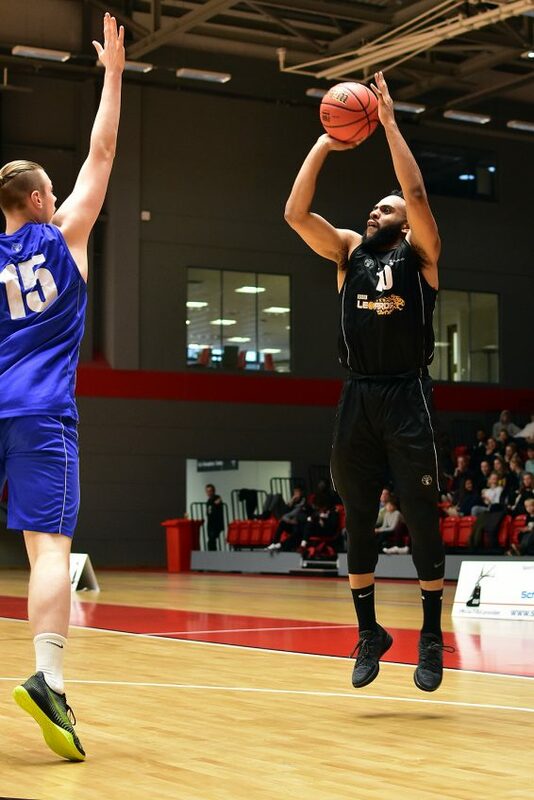 That lead ballooned to 14 as Mascall-Wright hit a pair of triples to open the second period and Sandiford also scored twice from the Land of Plenty before Andre Lavinier marked his introduction to the game with a three within a second of getting on court and quickly doubled his tally to give Leopards a 54-34 lead. With Wood (2), Sandiford and Captain Newman all draining from downtown, the third period saw Leopards steadily increase their lead as they went into the final 78-53 ahead. Dion Easton’s basket with 100 seconds remaining saw the lead reach 100-65, and only a late 9-0 run saw Newcastle manage a measure of damage limitation as Leopards moved up to 11th in the table. Tickets for Sunday’s game are available on the door or through www.leopardsbasketball.co.uk.